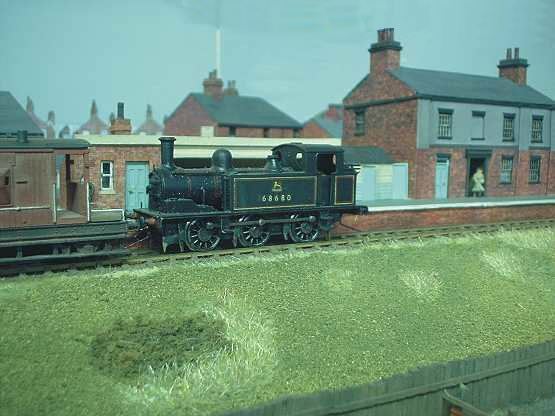 Mick's J72 0-6-0T 68680 at the station platform. Ever seen 2mm/ft etched chickens? Here they are. Etchings by Bob Jones and as modelled by Mick. Wansbeck Road signal cabin behind the allotments. Hard to believe this is such a small scale. 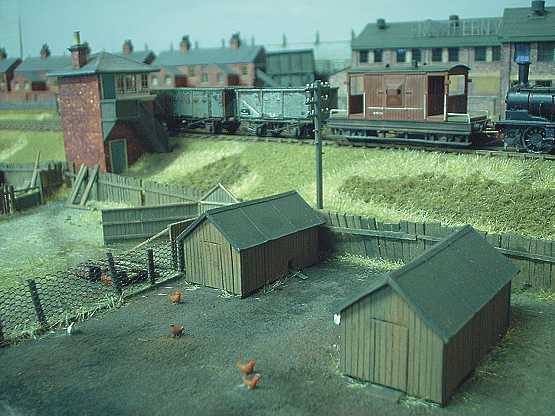 Look at the weathering on those tiny etched kit wagons. Wonderful. 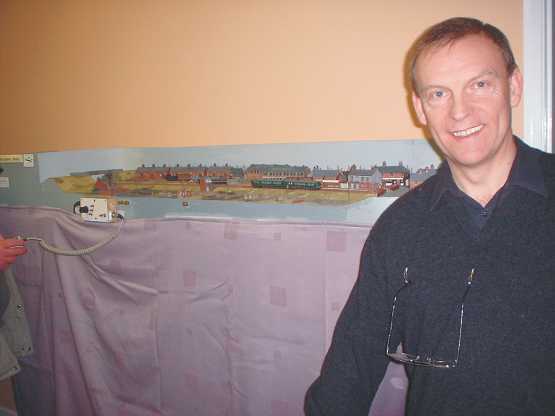 Mick Simpson of the 2mm Association with his Finescale layout 'Wansbeck Road' set as an ex. NER branch terminus in the late 1950s. 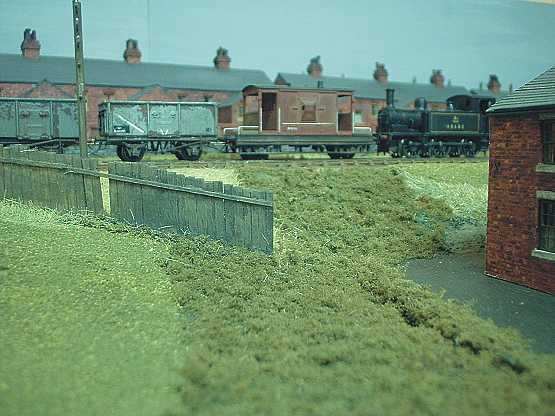 You get an appreciation of the true miniaturisation of 2mm/ft scale in this view. Taken with hand-held Canon A-series still camera. Tripod would have helped. Also suffering a bit from Google's compression of the files.